Funicular railway. 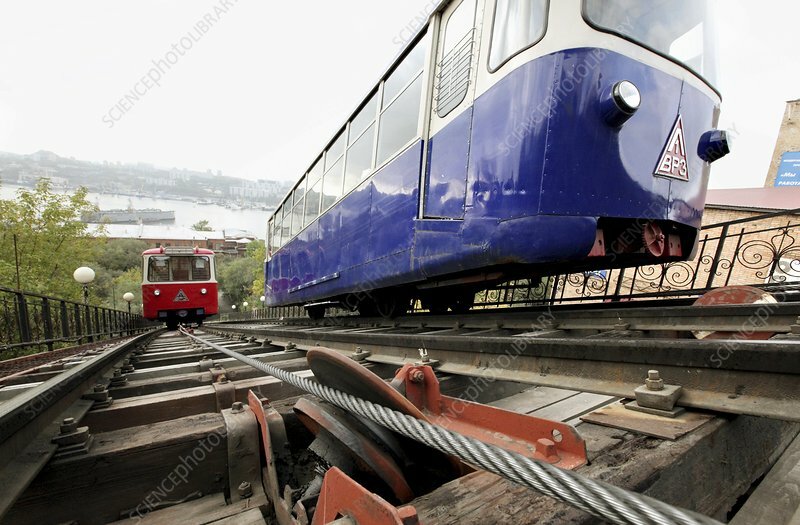 Railway carriages passing each other on the Vladivostok Funicular, Russia. This is a railway of about 180 metres length that rises 70 metres in elevation. The two cars are attached by cables and pulleys so that each acts as a counterweight to the other. The Vladivostok Funicular was built in 1962.